Big Cats For those of us who have a special place in our hearts for domestic cats (felis catus), the same goes for wild cats. Unless you are Kevin Richardson, the lion whisperer, you are unlikely to ever cuddle with a big cat and that is the way it should be. Unfortunately Big Cats are favorites for the exotic pet industry, for furs and for so-called "medicine." And their habitat is shrinking rapidly.There are more tigers captive in the state of Texas than there are left in the global wild. Wrong is an understatement. Below is a link to Panthera, a major organizations that is working for a range of species, followed by links to organizations that are dedicated to particular species. Panthera New York City-based Panthera works to ensure a future for all 37 wild cat species, with programs all over the globe. Known for their speed, Cheetahs are the fastest land animals and they are also sprinting towards disappearing from the wild. There are estimated to be only a few thousand remaining. The majority of the wild population is in Africa, with one small group of about 100 in Iran. They used to roam many parts of Asia, but that is long over. Habitat loss and hunting make them extremely vulnerable. Cheetahs are the least dangerous wild cats to humans -- there is no record of a wild Cheetah killing a human. Thankfully for the tiny population in Iran, according to Panthera, the country appears very motivated to preserve this part of its natural heritage. Cheetah Namibia-based organization with chapters worldwide. Cougars or Mountain Lions or Puma, live throughout the Western Hemisphere from Canada to Chile. Threatened by habitat loss and hunting, these iconic animals are widespread, but endangered. There are six or possibly seven subspecies of Cougar. The Cougar Fund The Cougar Fund was founded in the U.S. in 2001 by writer Cara Blessley Lowe and photographer Thomas D. Mangelsen. This iconic species lives in more than a dozen countries in Latin America, but is increasingly the victim of habitat loss, hunting and loss of wild prey due to human activity. Panthera is doing extensive work on behalf of the Jaguar through its Jaguar Corridor Initiative. Jaguar Conservation Fund This Brazilian Organization was founded in 2002 by a group of wildlife researchers. Leopards are found in both Asia and Africa, but on both continents they are gone from about 50% of their historic range. They are under threat due to hunting and habitat loss. The rarest of leopards, the Amur leopard, lives in eastern Russia and there are thought to be only about 30 remaining. African Wildlife Foundation This venerable organization, which works to save numerous species, was established in 1961. AWF is headquartered in Nairobi, Kenya, with international offices in Washington, D.C.; Livingstone, Zambia; Arusha, Tanzania; and Kinshasa, Democratic Republic of Congo. Amur Leopard and Tiger Alliance (ALTA) The Amur Leopard and Tiger Alliance (ALTA) is a London-based coalition of 15 international and Russian NGOs who are all working to conserve the Amur leopard and tiger. Some raise funds and awareness and some implement projects in the Russian Far East and China. It may come as a surprise to some that these quintessential creatures of the African Savannah are endangered, but habitat loss and illegal hunting have devastated lion populations. Ever dwindling habitat and illegal killing have brought wild lion numbers down to what many conservation groups estimate to be less than 30,000. Without immediate and collaborative effort, lions could become as scarce as the other big cats on this page. To add insult to injury, lions are a favorite for the despicable canned hunting industry. Ewaso Lions Kenyan Shivani Bhalla founded Ewaso Lions in 2007 and she has dedicated her life to wildlife conservation. LionAid A UK-based organization led by Dr. Pieter Kat and Chris Macsween. Lion Alert Zambian organization with projects in Zimbabwe, Malawi, Namibia and Burundi. Lion Encounter Conservation group with locations in Zambia and Zimbabwe. Protecting African Lions P.A.L. Founded by young South African artist Conor Mccreedy, P.A.L. is a coalition of artists and entrepreneurs. WildlifeDirect's Lion Guardians WildlifeDirect is a Kenyan NGO and US registered 501 (c)(3) organization co-founded in 2004 by Kenyan conservationist Dr. Richard Leakey. The Iberian Lynx is one of the globe's most endangered wild cats. Once common in France, Portugal and Spain, there are now less than 500 left in Spain. The species has been very near decimated by hunting and habitat loss, but multilateral efforts are underway to save these beautiful creatures. There are three other species within the Lynx genus: the Eurasian lynx, the Canadian lynx and the bobcat. International Society for Endangered Cats The International Society for Endangered Cats (ISEC) Canada was incorporated in 1990 in Calgary, Alberta. Estimates of how many of these elusive creatures are left in the wild vary widely, but it is believed that there are 4,000-7,000. These cats have something of a mythical reputation as they survive in some of the harshest climates on the planet. Yet their skills and remote habitat don't always protect them from the illegal wildlife trade, as their parts are coveted for fur and "medicine." They are also hunted by herders who fear for their livestock. Fauna & Flora International This international organization has been around for over 100 years. Snow Leopard Conservancy Dr. Rodney Jackson has 35 years of experience working with rural herders whose lives are directly impacted when snow leopards prey upon their livestock. 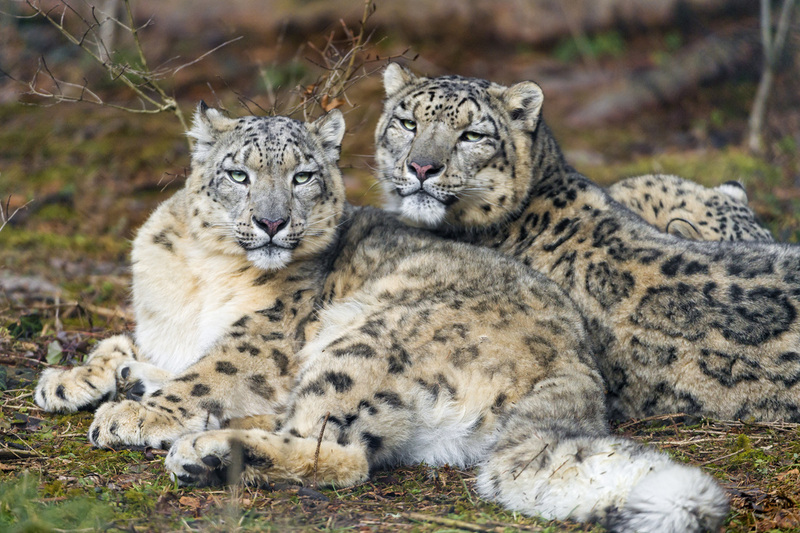 Snow Leopard Trust Seattle-based company founded in 1981. Tigers are the biggest of the big cats and they are under extreme threat in the wild -- with estimates of only about 3,000 left. Historically there were 9 subspecies of tiger, but only six remain. These iconic creatures have been nearly decimated because of habitat loss and the illegal wildlife trade; tiger parts are considered to be medicine in Asia and in China in particular. The good news is that there are many individuals and groups, including Panthera, who are passionate about tigers and who are fighting on their behalf. 21st Century Tiger A wild tiger conservation initiative between Dreamworld Wildlife Foundation and Zoological Society of London that raises funds for wild tiger conservation projects. Global Tiger Initiative A global alliance, launched in 2008 by founding partners the World Bank, Global Environment Facility, Smithsonian Institution, Save the Tiger Fund, and International Tiger Coalition, which represents more than 40 non-government organizations. Save Wild Tigers A UK-based organization founded by Simon Clinton. Tigerwalah Dispatches from Ranthambhore Tiger Reserve in India.